This highly illustrated colour manual offers an in-depth exploration of the Twin Block technique and its use in orthodontic practice. 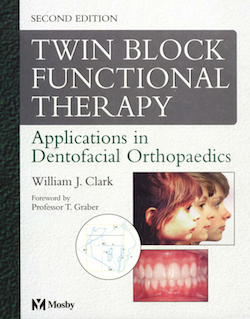 It focuses on treatment of malocclusion or misalignment of the jaw, highlighting the distinct advantages and clinical efficiency of Twin Block appliances. The updated 2nd edition incorporates extensive new information on growth changes throughout to reflect current knowledge of the subject. Many improved illustrations enhance the text and help clarify complex concepts. Format: PDF, 361 pp., 2002 yr.